Overview : Quick Flip models offer high value, compact size, light weight and fast handling. No wonder they're the best-selling brackets on the market! Although lower in price than our top-of-the-line brackets, they share the same quality materials and construction. 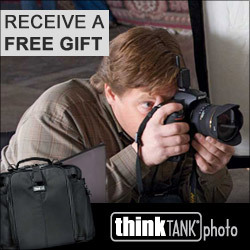 Perfect for shooting at press conference, wedding etc. Quality/Usability : I'm still looking for that flash bracket that fits my needs and to my likings. And I think I have found it. 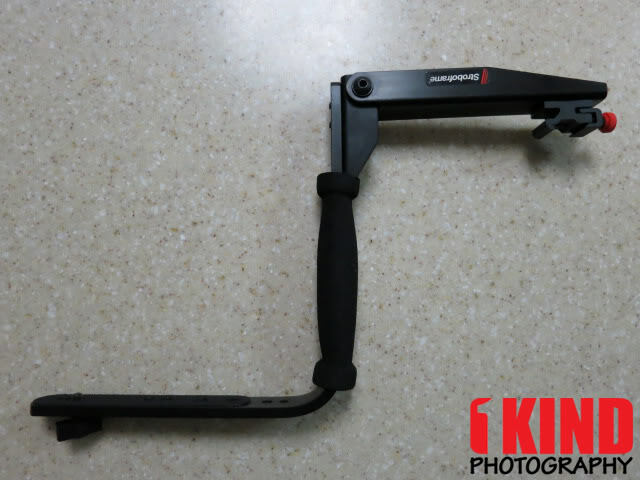 Of the "Stroboframe" flash brackets that I've tested and reviewed, this is my most favorite. There is one screw and multiple holes. 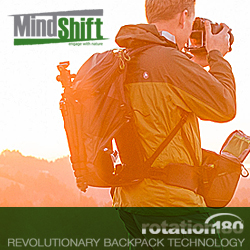 This allows you to move your camera to any position you want. You can have it closer to the grip or further away. 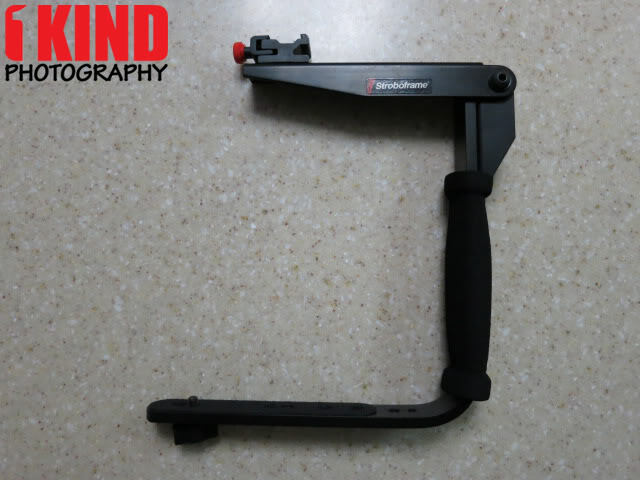 If you have the frame aimed out as shown in the picture, the bracket grip would be on the left. If you flip the flash bracket, the flash would hang upside down. Rarely would you have your flash in this position if you're shooting in landscape mode. But even with the flash in this position, the flash won't fall and is held securely. Having the grip on the right side is my preferred setup. The flash bracket would be backwards (Stroboframe sticker facing towards you) but you'll see why below. If the bracket grip is on the left side, flash bracket flipped and held in portrait mode, the flash will be at the bottom. This is poor lighting and the flash would be too low. Flash should be above the camera. 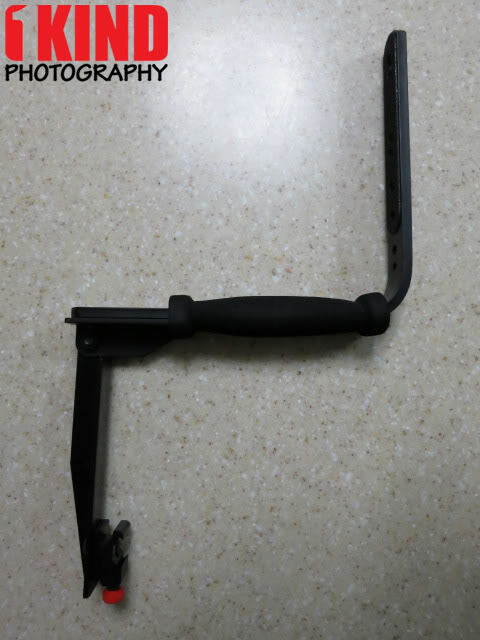 If the bracket grip is on the right side, flash bracket flipped and held in portrait mode, the flash will not only be above the camera but sideways. Even though the flash is sideways, this is still fine. Of course, this all depends on how you hold your camera in portrait mode. Some people prefer to have their shutter button at the top and some to have it at the bottom. 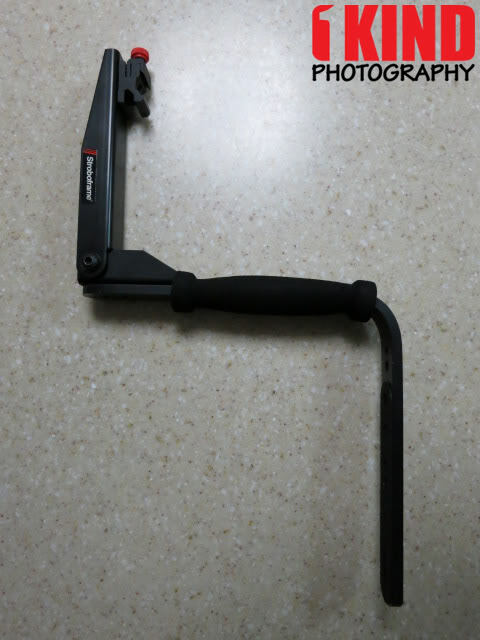 If you have a grip on your camera, you will have no problem accessing the shutter on your grip as the base of the flash bracket is thing and the screw does not get in the way. Conclusion : Overall, the Stroboframe Quick Flip 350 Rotating Camera Flash Bracket allowed me to flip the bracket around to use it the way I wanted to. I wasn't limited to having it in a specific position. I liked the fact that I was able to move the screw to any hole so that I can position the camera as far or as close as I want to the bracket's grip. Neither the screw or base of flash bracket got in the way of using the shutter button on a gripped body. The flash bracket was also lightweight where it did not get my arms tired. As you can see from the pictures, I don't have the camera mounted to the bracket. The reason is because once the camera is mounted, the bracket does not stand up due to the screw protruding from the bottom. So if you're using this for an event and need to put this down, it won't stand up and it will lean forward or backwards. If you must put your camera down, you will have to put the camera on its side. With the price that this can be purchased for, this would scream fake but it comes with a warranty card. Makes me wonder if this is an actual Stroboframe.